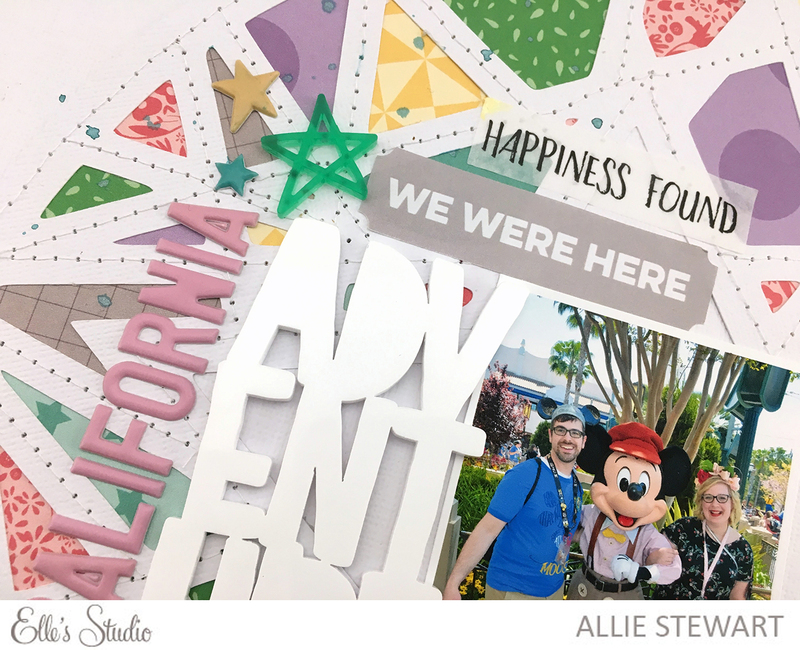 Magical Messes: May Elle's Studio Release! I love the fun colors and summer vibes! Here's a look at the layouts I created. 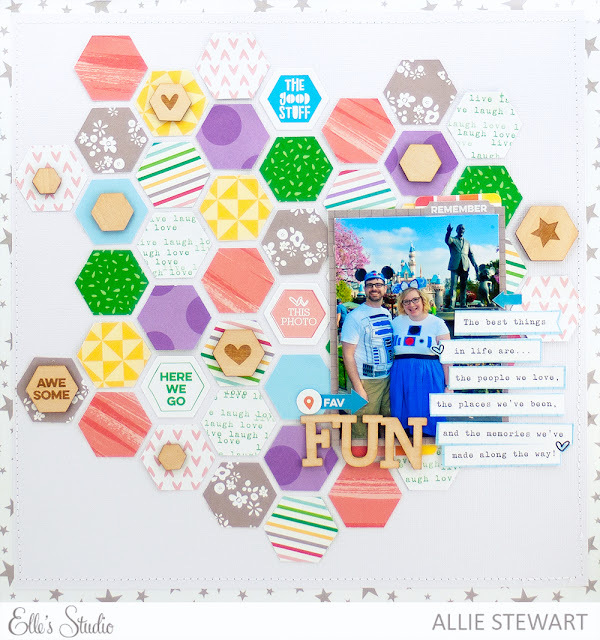 My first layout was inspired by the hexagons throughout the May release. I used a hexagon punch and laid them out in an abstract pattern, I added the wood hexagons on top of the of the punched out pieces, and then placed my photo. 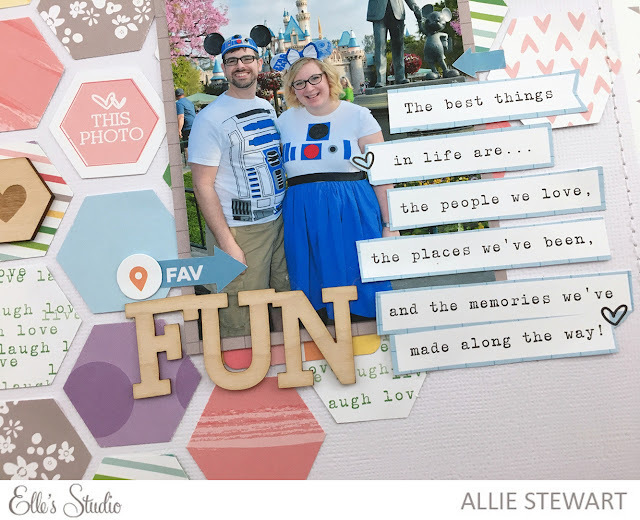 I used the wood veneer "FUN" as a title, and cut out the quote from a journaling card! I cut out the star design from the Strings Attached cut file, and backed it with patterns from the 6x6 pad. Next, I used my sewing machine to stitch along the cut file, I added my photo and used the Adventure acrylic as my title, along with the super fun pink puffy letters! I finished with some fun embellishments, like the puffy and acrylic stars, and the washi tape stickers! Check out all the products I used below, and be sure to stop by the shop to check out all the new products!